NEW YORK – All it takes is a wet floor, a crack in the sidewalk or an uneven carpet to fall, which can lead to serious injuries (just ask The Tonight Show’s Jimmy Fallon). It is a common, but sometimes overlooked, cause of injury. Statistics show that about one-third of all seniors who live at home will fall at least once each year. Each fall can cause broken bones, muscle sprains and potential brain injuries. Now, researchers are finding that popular over-the-counter medicines and prescriptions could increase a person’s risk of falling as well. Scientists from Trinity College in Ireland studied over 2,000 older adults for two years. Researchers discovered that people who took anticholinergic medicines such as Alprazolam, Amantadine, Cetirizine, and Codeine were 2.5 times more likely to have a serious fall. Manhattan slip and fall attorneys at Cellino & Barnes said the study should be a reminder for consumers to understand the medications they are taking. 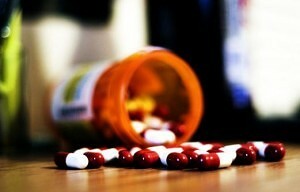 Anticholinergic drugs most often come with side effects such as blurred vision and drowsiness. The drugs are used to treat a cohort of symptoms and conditions including depression, psychosis and, perhaps most commonly, allergies. It is believed that seniors are most susceptible to a fall while using these medications because of the way it interacts with other medications. “Taking multiple medications at a time can amplify the side effects, especially when mixing over-the-counter drugs with prescription drugs,” Barnes said. The side effects of blurred vision, drowsiness and dizziness can come on stronger than expected, resulting in a fall. Doctors say if an individual does fall, it’s important to try to get up too quickly because it can result in loss of consciousness or light-headedness. If you’re hurt, have someone call 911. If no one is nearby, slowly crawl to a telephone and dial 911. Many falls can result in serious and costly injuries but they are not always your fault. If you’ve been injured in a slip and fall accident, immediately seek medical attention. Afterwards, contact an attorney who can evaluate your case without charge. 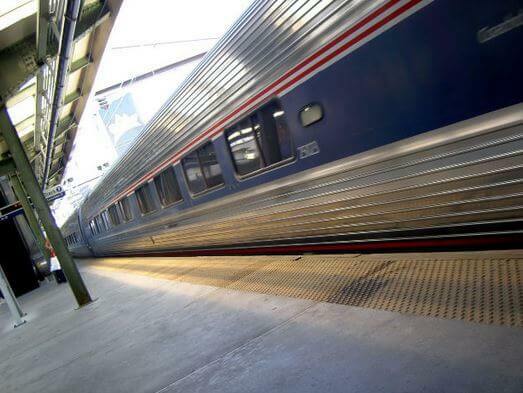 NEW YORK – From Washington to Boston, over 700,000 people commute and travel via train in the Northeast Corridor, the nation’s busiest rail sector. Many trains make their way through New York but the trek through the Big Apple is a dangerous one. Delays and a string of recent train crashes have headlined some of the problems with the Northeast Corridor but those headlines only scratch the surface. Over the last three decades, the number of riders has doubled but there have been few upgrades and changes to one of the oldest rail sectors in the nation. 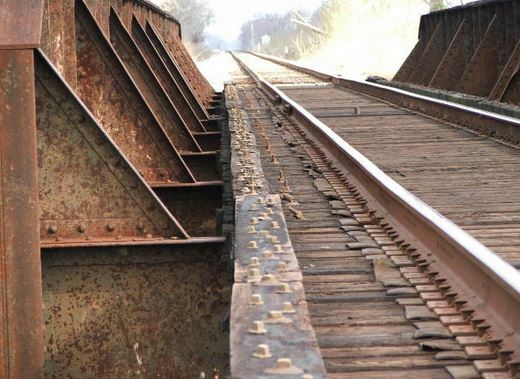 Bridges are increasingly becoming unsafe. Power lines and electrical wires have stalled commuters for days. In some areas, tunnels are on the verge of collapsing. New York train accident attorneys at Cellino & Barnes said another train accident could happen at any moment. Ridership along the Northeast Corridor is at an all-time high but the infrastructure in the area is notorious for delays. Weather like rain storms, snow fall or even a hot summer day have been known to affect the old infrastructure and cause delays. Just seven months into 2015, almost 1,000 Long Island Rail Road trains pushed their schedules back due to problems or congestion. According to a report from a congressional advisory commission, train delays resulted in over $100 million in lost productivity and added traffic, among other effects. The good news is that trains won’t run if there’s a safety concern. The bad news is that delays are a common, usually daily occurrence. BUFFALO, N.Y. – Every time a person steps outside their home, they take a risk. Every day, thousands of car accidents send people to the hospital, construction accidents and workplace injuries are not uncommon either. However, many people don’t realize thousands of accidents actually occur inside their own homes. Nationwide Children’s Hospital in Columbus, Ohio estimates an average of 36,000 bunk bed-related injuries happen in America every year. Thousands of other household products can result in life-threatening injuries as well. Buffalo defective product attorneys at Cellino & Barnes say products are constantly changing and their dangers may not always be obvious or even labeled. Medications and facial cleansers typically stored in a bathroom can be poisonous to children. More than 10,000 cases of poisoning are reported every year due to chemicals known as ‘hydrocarbons’ found in certain bath oils. Even heavy furniture has been known to send individuals to the emergency room. Nearly 15,000 kids have been admitted to hospitals following furniture tip-overs, such as a large big-screen TV or an armoire. Studies have found that 9,400 children are treated every year following accidents in high chairs, likely from the high chair falling over, leaving a child’s head exposed to a potentially fatal impact with the ground. The Consumer Product Safety Commission reported 16 incidents of unintentional strangulation, many of which involve bed posts and bunk beds. Nearly every case was fatal. 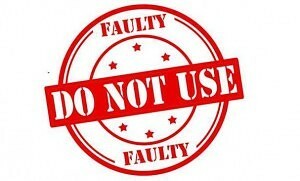 Keep watching cellinoandbarnes.com/blog for the latest common household recalls. 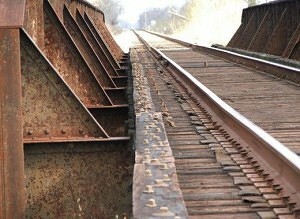 NEW YORK – Have you ever been stuck on the railroad tracks? Helpless, with nowhere to turn, it can quite possibly be one of the scariest moments in anyone’s life. In many train accidents, the railroad and its insurance company are quick to blame the driver for an accident but sometimes it’s not the driver’s fault. 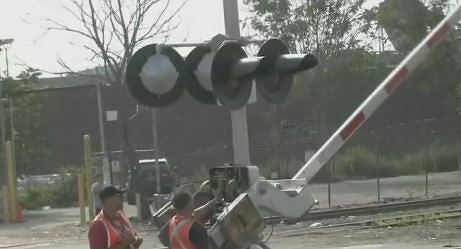 New York train accident attorneys at Cellino & Barnes say it’s not uncommon for railroad crossing arms and signals to malfunction, putting everyone in danger. Earlier this month, a New York truck driver discovered a malfunction at the gates of a railroad crossing in Queens, which resulted in a fiery collision. Luckily, no one was seriously hurt but members of the New York media investigated the incident. ABC 7 found out the crossing gates never dropped, apparent in dashcam video obtained from a tractor trailer on the opposite side of the tracks. In the past decade, more than 12 crashes have been recorded at the accident site in Queens, according to Federal Railroad Administration records. Although repair crews were on-site repairing the crossing gates, eyewitness reports state trains were spotted passing the same intersection with the gates up. New York train accident attorneys suggest calling 911 immediately following any train crash. After first responders have arrived on scene, they say it may also be in your best interest to contact an experienced train accident attorney. 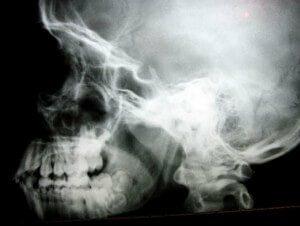 NEW YORK – Surgery can often be intimidating. With so many active biological parts, the human body is one of the most complex machines in nature and one slip of the scalpel can change a person’s life. A patient must place all of his or her trust in the surgeon holding the knife. In some ways, a surgery can be like the movie The Terminator (hear us out on this). Although you hope your surgeon never says “I’ll be back,” a patient is often heavily sedated throughout the process. 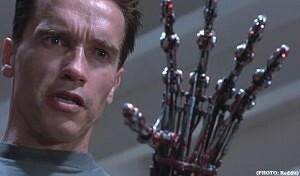 For some patients, an operation can quickly turn into a nightmare involving doctors, knives and yes, robots. Did we mention robots? Since 2007, more than 2 million surgeries were conducted by robo-doctors and a new study found these robots can be real-life terminators. The US Food and Drug Administration (FDA) counted the number of errors these wire-head doctors were responsible for over the past 13 years. The results have experts concerned, to say the least. New York personal injury attorneys at Cellino & Barnes say many of the robo-errors can be attributed to defective products and sometimes (and ironically), human error. According to research on the subject, at least one person died and 119 others were injured as a result of pieces falling off a robo-surgeon into the patient. Human surgical teams would then intervene and play a real-life game of Operation to get the broken hardware out of a patient’s body. The most dangerous kid of robo-surgery is cardiothoracic and head and neck surgeries, which have resulted in only an 80-percent success rate, according to research. Although the FDA study shows a dramatic increase in the number of robot-related injuries, experts say robo-operations are still safer than traditional surgeries that are done by hand. It’s difficult to compare the two, however. When mistakes are made, lawsuits are often settled out of court with an agreement that hospitals admit no-fault in an accident. This allows the machines to become an easy scape-goat for surgeons working long hours; blaming the hardware instead of faulting themselves. Personal injury attorneys say if you’ve been injured during a surgery, it doesn’t matter whether the doctor or machine is to blame. Contact a lawyer for a case evaluation. BUFFALO, N.Y. – Doctors everywhere have always encouraged patients to get out of the hospital beds and be active as soon as it’s safe to do so. Exercise not only reduces swelling and inflammation, it also increases circulation and speeds up the healing process. However, brain injuries are a different story. Buffalo car accident attorneys at Cellino & Barnes say traumatic brain injuries are a common issue for victims of car crashes and other accidents but they are still difficult to diagnose and treat. Doctors and surgeons say a damaged brain is vulnerable to a lack of blood flow and increased activity could set a patient’s progress back. At least, that was the generally-accepted rule patients were told to abide by. One study conducted by a nurse at the Cleveland Clinic could change the “rest” strategy for patients recovering from traumatic brain injuries. After analyzing more than 600 patients with brain injuries, researchers found that moving around and resuming physical activity had clear benefits. For example, patients who began physical therapy or rehabilitation soon after their injury spent less time in the intensive care unit; and less time in the hospital. The study is already seeing lasting changes in the healthcare industry. The Cleveland Clinic recently installed lifts at every bedside in the Neurointensive Care Unit. These lifts make it safer and easier for nurses and doctors to move patients. Experts suggest the physical activity “rewires” the brain, changing neural circuits and forming new connections. Doctors said although initial studies are providing more insight into how the brain recovers from injuries, the research also demonstrates how little experts truly understand about how the brain operates and it’s still unclear if all brain injuries should be treated the same. Is NYC the Worst City for Driving? NEW YORK – Unless you refuse to ride in anything with more than two wheels, you’re likely to rely on cars, trucks, taxis, or buses to get to work, school, the grocery store, and wherever else life takes you. Unfortunately, the city you live in could make that commute a lot more difficult and New Yorkers get the worst of it, according to a WalletHub study. For many of the commuters, more than 200 hours are spent each year between the white and yellow lines of highway monotony. Researchers trying to cut down on commute times ranked the 100 most populated U.S. cities by analyzing the costs of car ownership, traffic and road conditions, highway safety, and other key metrics. New York City placed dead last (yes, even behind Los Angeles). New York car accident lawyers at Cellino & Barnes said the compact size of New York, in comparison to other cities, make the morning and evening commute more hectic, annoying and dangerous. Although thousands of people are hurt each year in car crashes, safety was New York’s one bright spot, placing in the top 10 safest cities in the nation, according to the study. However, with a density of 28,000 people per square mile, accidents are always lurking around the corner. The city ranked dead last (or near 100) in almost every other key metric. 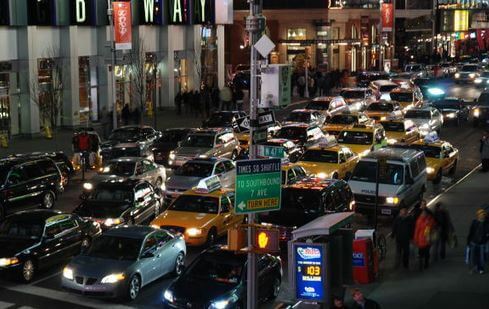 Car crashes peak in New York City between 3 pm and 6 pm; accounting for nearly 14,000 accidents in 2014. Conversely, the best time to commute would be between 3 am and 6 am, when accident frequency is at its lowest. 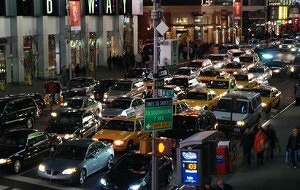 In the end, many New Yorkers opt to take the subway each day, avoiding traditional vehicle traffic. Even then, the commute can be quite… stuffy. BUFFALO, N.Y. – If you’re a physically active person, keep it up because just two weeks of slacking could bring you down, a recent Danish study found. The information is important for those who have been sidelined with injuries. Even for those who haven’t been injured, inactivity was found to increase their risk of getting hurt. The study found that young adults could lose about 30 percent of their muscle strength when taking a break from their work out routine. A vacation, illness or injury was found to take a toll on muscles equivalent to aging by ’40 or 50’ years. Buffalo personal injury attorneys at Cellino and Barnes said therapy and rehabilitation exercises can be vital to anyone who has suffered an injury. Researchers point out that total muscle mass generally reduces with age but younger adults can have 2 pounds or more muscle mass than older adults. When workouts routines were halted for two weeks, researchers found younger, more active individuals lost up to 17 ounces of muscle. Even without an injury present, a sudden change in fitness habits can put strain on the body and its muscles, exposing a person to more potential injuries. 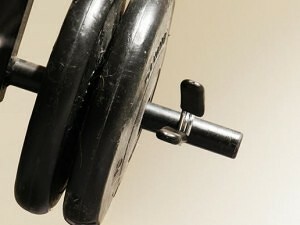 Researchers said it can take three times longer to regain muscle mass after its been lost. NEW YORK – The National Transportation Safety Board made an overture on Wednesday, telling Amtrak to install video cameras to monitor the actions of its train engineers. The recommendation is part of the Board’s response to a May train crash that killed eight and injured 200. The crash happened while an Amtrak train was traveling from Washington to New York City but derailed in Philadelphia. Investigators with the NTSB discovered the train was going more than 100 miles per hour around a curve, double the speed limit for that area. New York train accident attorneys at Cellino & Barnes said any action that could increase train safety would be an improvement. New York train accident attorneys said the recordings could also serve as training videos for future engineers. The NTSB listed several accidents in which cameras assisted investigators as well. BUFFALO, N.Y. – When a Hummer and a Versa collide, most people can assume the Hummer will win. The Versa is not only much smaller than a Hummer, it’s also much cheaper. With a price tag of around $13,000, the Nissan Versa was credited as 2015’s cheapest set of wheels. Why does the price tag matter? New research is showing a vehicle’s cost can be deal breaker when it comes to safety. Sure, the Hummer (H2 series) is much larger than the compact Versa, but it also carries a much larger sticker at about $32,000. Researchers at the University of Buffalo found there’s a correlation between accidents with serious injuries and the price of the cars involved in the crash. Buffalo car accident attorneys at Cellino & Barnes said when it comes to safety, you get what you pay for. 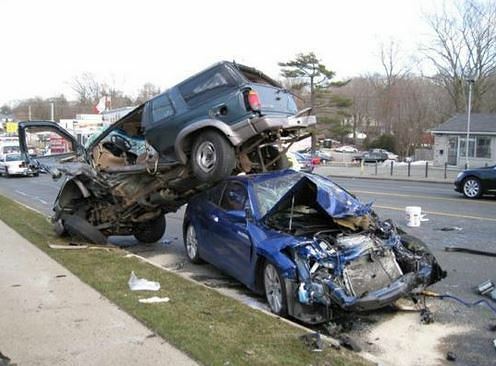 According to research, for every $10,000 spent on a vehicle, injuries go down by over 10 percent. Researchers said vehicles also become 19 percent safer for every thousand pounds. Larger vehicles also cost to manufacture. The obvious reason is that they require more materials, and sometimes more parts. However, Buffalo car accident lawyers said SUVs and trucks also have an unappreciated safety feature: space. When analyzing the number of injuries associated with vehicles, the top 25 to 50 vehicles are all smaller cars with smaller price tags. Luckily, carmakers are beginning to place more focus on vehicle safety. Most dealerships offer the latest safety technology like automatic brakes on premium vehicle packages, which cost more. Some vehicles will place the newest safety features in standard packages but it’s up to the consumer to find out which cars offer this protection at no additional cost. So, if you can’t pay for protection with your checkbook, check the boxes and make sure you’re getting the best deal for your safety.